This Spacious renovated farmhouse is in a quiet hamlet near the village of L'hermenault. 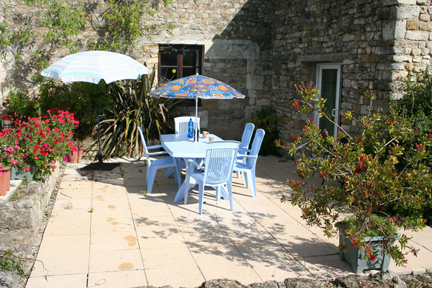 Tournesol 2 Bedrooms, Sleeps 4, Changeover Sat. Shared pool, central heating,Wifi,Heated indoor Pool. On the lagrange Complex with 4 other gites. Landscaped gardens,Sports and Entertainment Hall. CHENE 4 Bedrooms, Sleeps 9, Changeover Thursday. Shared pool, central heating Wifi,Heated indoor pool. FRENE 3 bedrooms, Sleeps 6, Changeover Thursday. 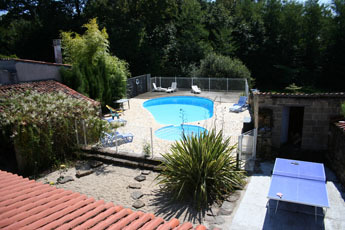 Split level gite on complex with 4 other Gites. shared Pool, central heating,WiFi, Heated indoor Pool. Large Gite on complex with 4 other Gites. The Vendee, in the Pays de la Loire, has not only the best blue flag beaches of the Pays de la Loire but also has a diverse and spectacular countryside, including the Bocage and Marshes. The Vendee offers destinations that are guaranteed to appeal to all ages whether it is sand, sea or sun - or whatever activity, energetic or relaxing, that one hankers after!. Holiday accommodation in the Vendee provides a base from which one can easily explore this fascinating corner of France; plan a vacation of relaxation or outdoor recreation such as fishing, cycling , walking, golf ; explore local villages; visit historical towns which are scattered throughout the Vendee and the Pays de la Loire - all within easy reach of La Rochelle the jewel of the bay of Biscay. From family sized Farmhouses, villas, cottages or gites with pools to group accommodation on our Gites complex, the variety of holiday rental properties for self catering is extensive. Holiday accommodation in the Vendee is generally rustic in nature, in secluded tranquil and peaceful locations offering a relaxing alternative to the urban hectic lifestyles of most people. Gites with pools give you the opportunity to find that haven of peace yet with a surprising variety of things to do and see in the Vendee and on site.